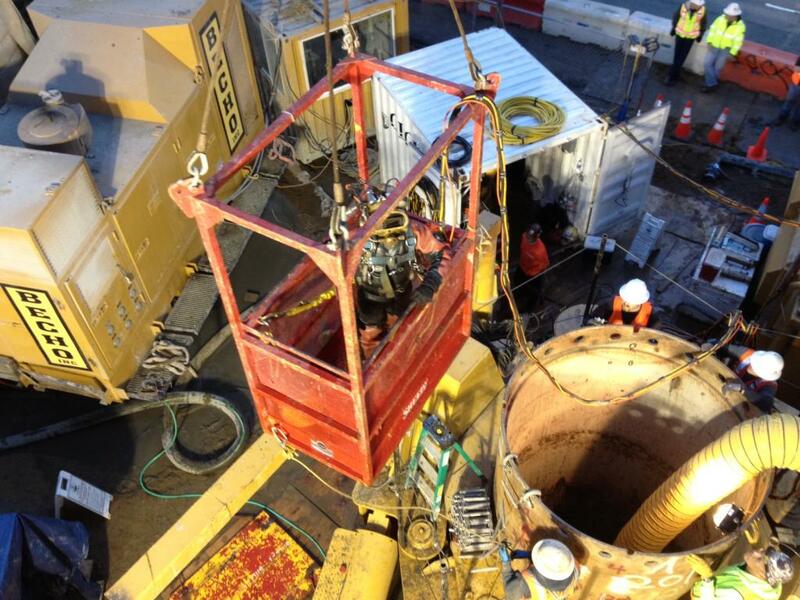 Inland Drilling Shaft Extraction - Global Diving & Salvage, Inc.
It’s not often, but Global’s dive teams do occasionally get called out to inland projects; in this case the jobsite was a drilling shaft in California. 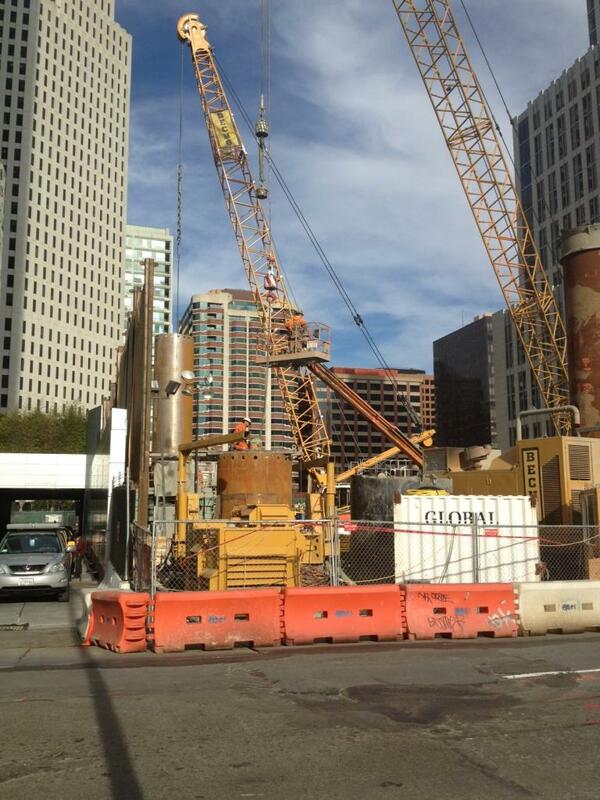 The contractor was digging multiple vertical shafts to a depth of 250 feet in a vacant city lot in downtown San Francisco. 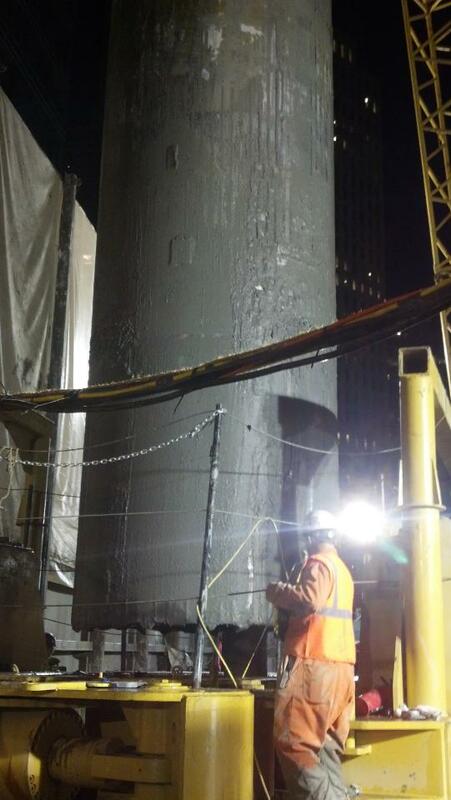 These shafts form a bulkhead to prevent soil movement while excavation for a subway station and California’s future high-speed rail line is completed on the work site. 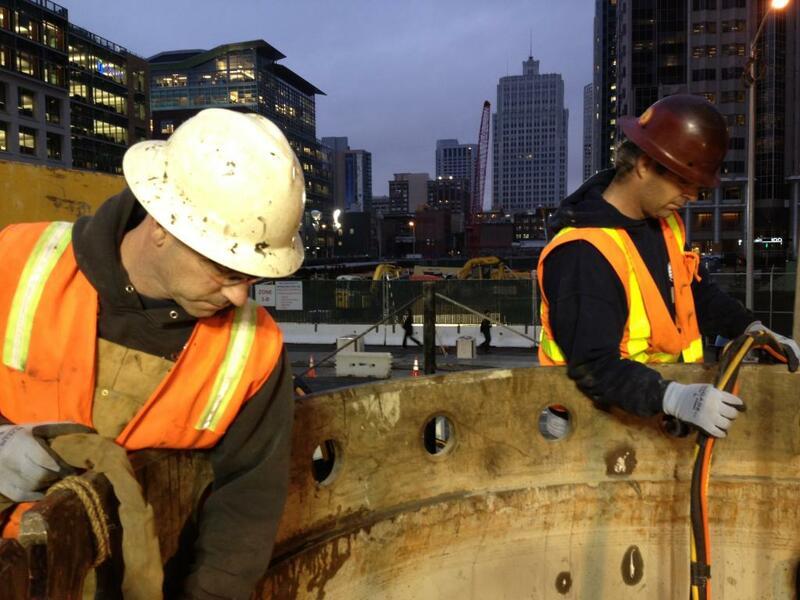 The casings are filled with water during the excavation to resist surrounding ground pressure. 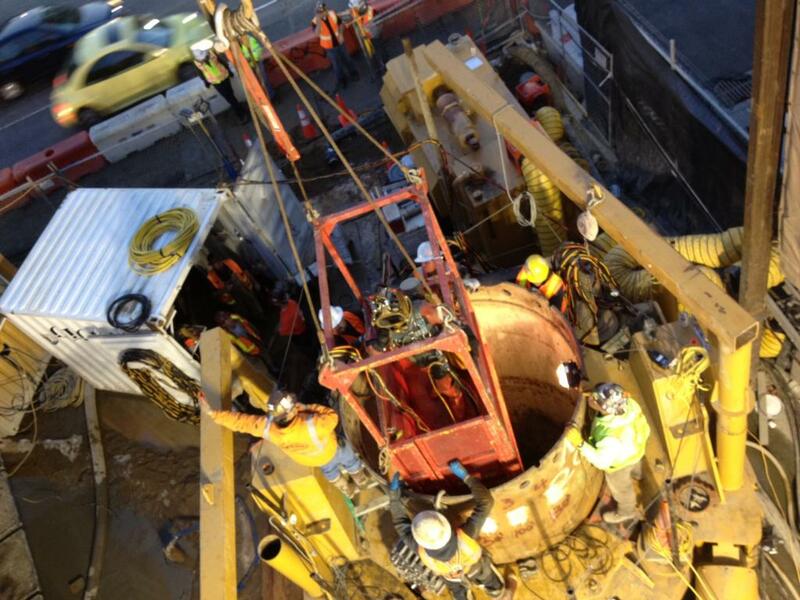 During the extraction of a shaft casing, the sections separated at three locations; 120, 145, and 170 feet. 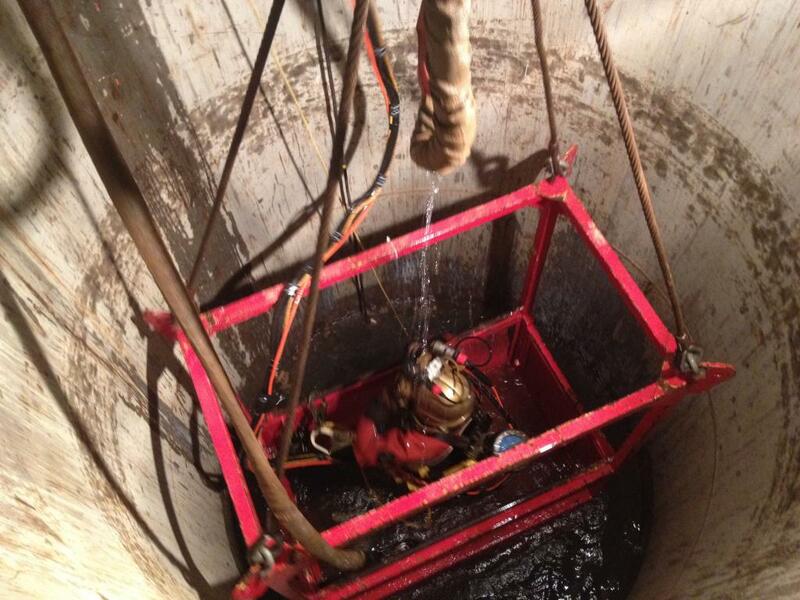 Divers were lowered down the 84 inch diameter shaft in a man basket to a water depth of 170 feet. 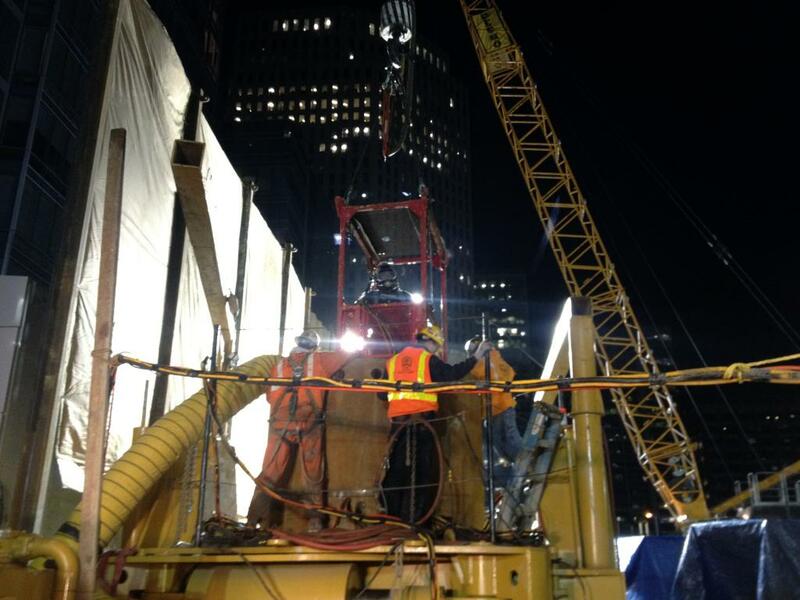 Repair options included welding the casing sections together or drilling through the section overlap and installing steel ‘plugs’ to lock the sections together. The repair was successful and the shaft casing was removed.